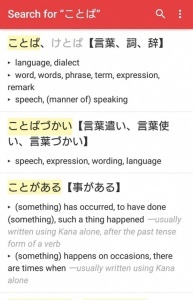 A simple, easy-to-use Japanese-English dictionary for learners of Japanese. 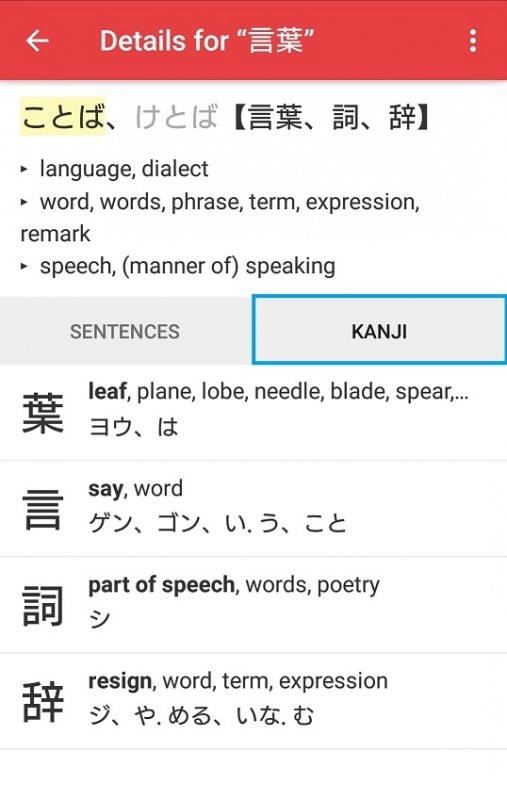 You can look up kanji and definitions of Japanese vocabulary using hiragana, kanji, romaji, and English. 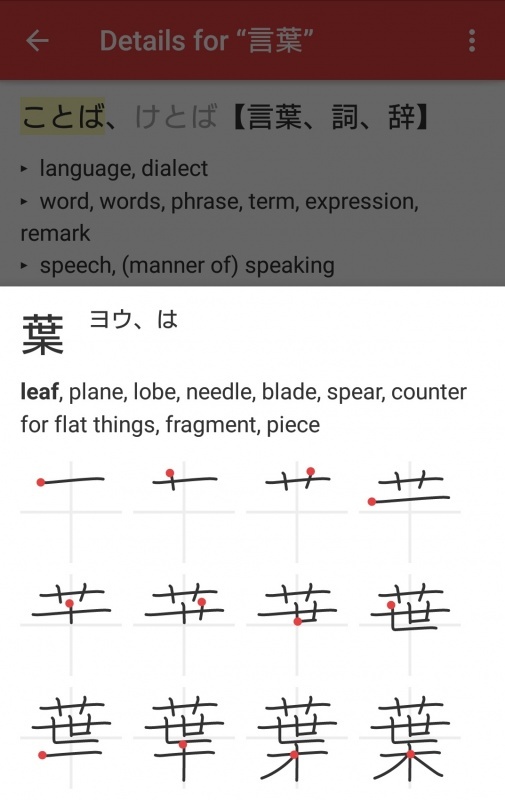 You can see the kanji stroke order by tapping on the kanji used in a vocabulary word. Once you install it, you can use it offline. 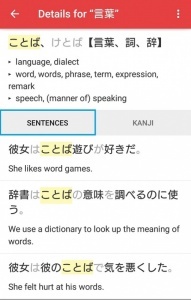 Enter the word you want to search on the top page. 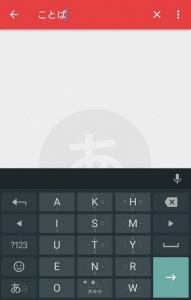 Tap the search icon in the blue frame and enter “ことば” in hiragana. 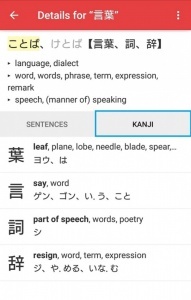 Vocabulary words related to "ことば"(kotoba) will be displayed in hiragana and kanji, along with the English translation. 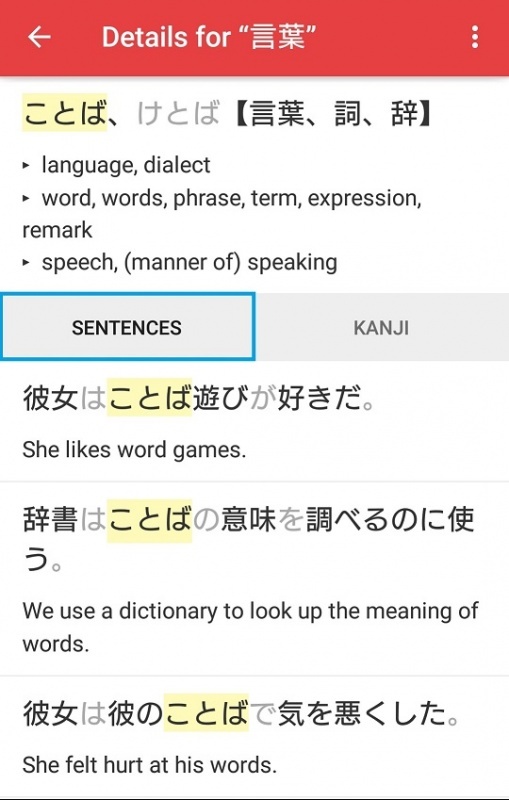 Tap the vocabulary you want to look up to see a sample sentence in Japanese and the English translation on the "sentences" screen. 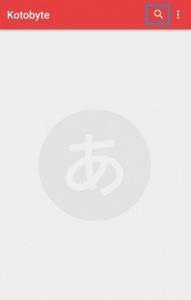 Tap "KANJI" to see the "ON（音）" reading and the "KUN（訓）" reading included in the word, as well as the English meaning. 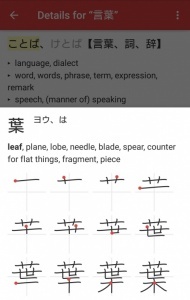 Select "葉" to see the stroke order. 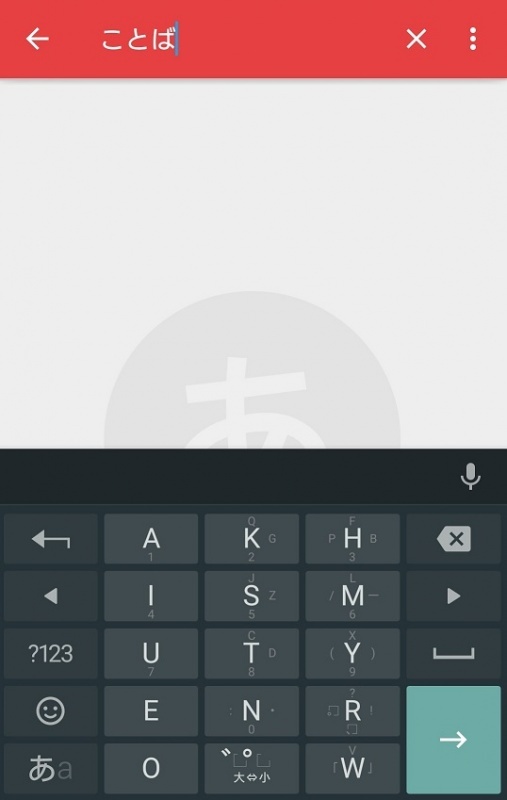 You can search using English, romaji, and kanji as well, making it easy to look up! 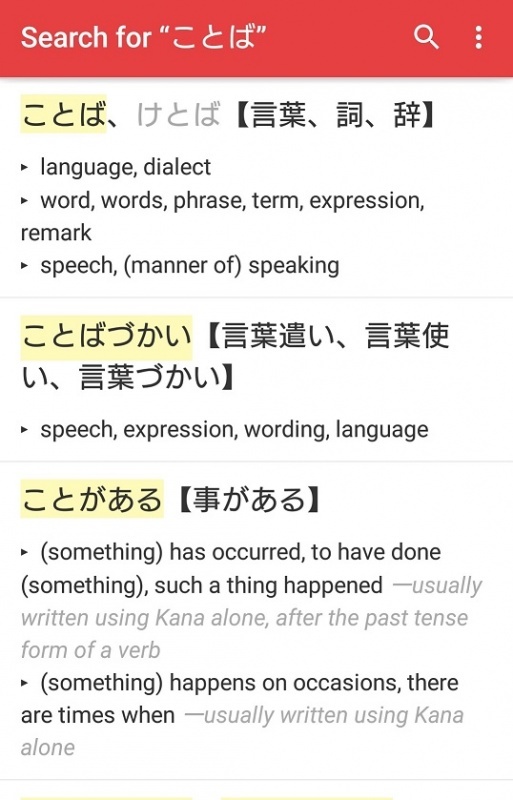 Because several words are displayed when you search for one word, the more you use this, the more it is bound to expand your use of Japanese.